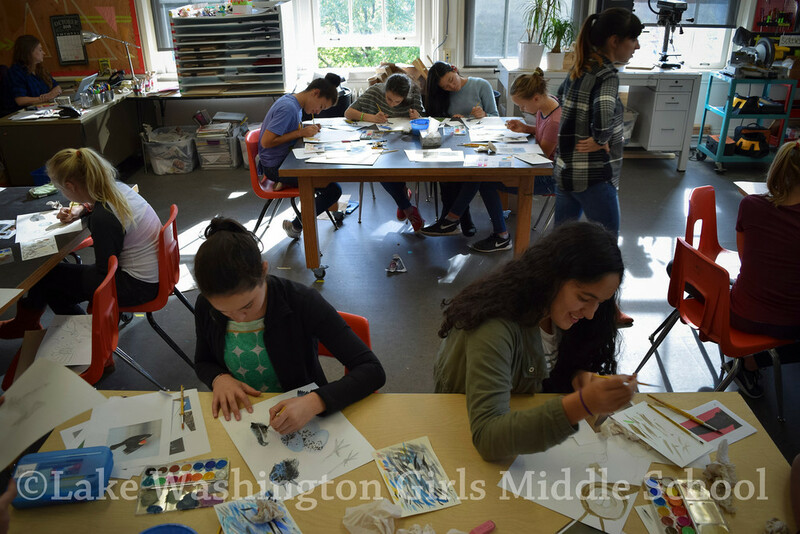 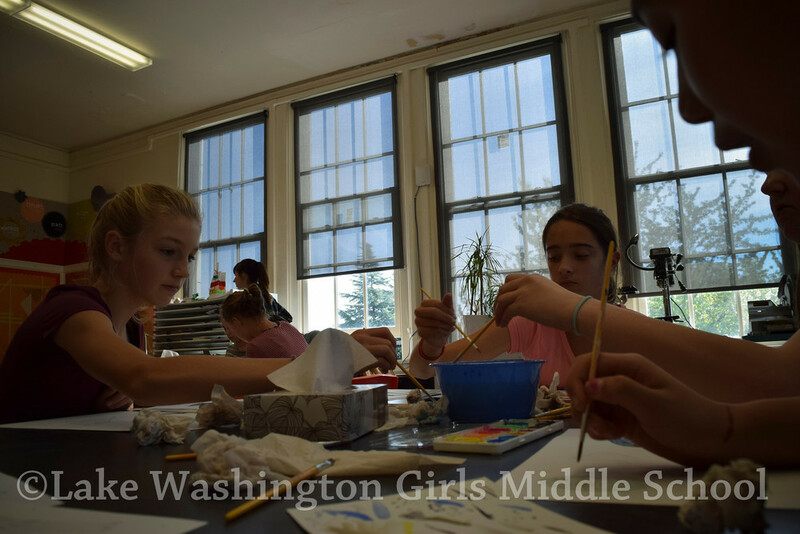 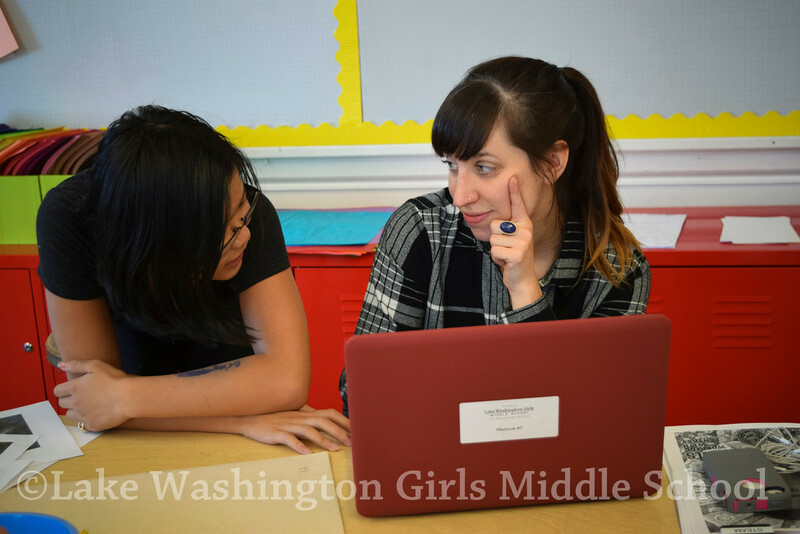 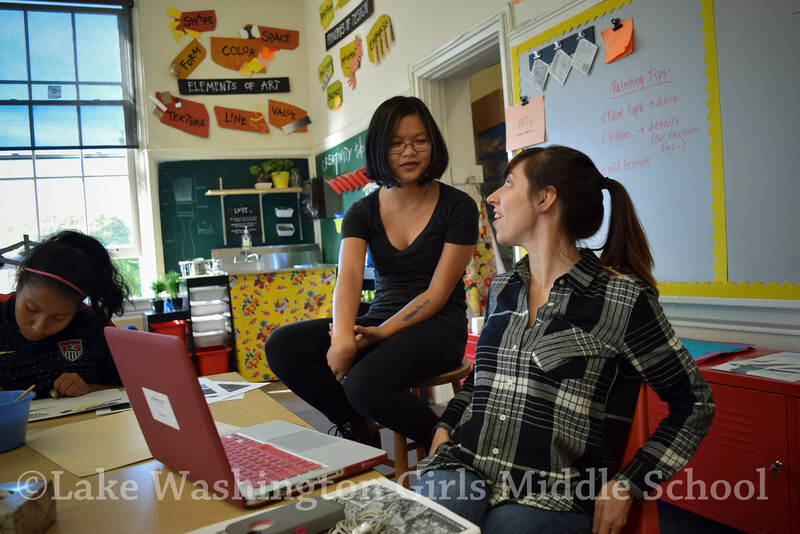 Ms. Lindsey's eighth grade art class is in the middle of an amazing art project – the perfect STEAM project, actually, combining art and STEM – and the pieces are gorgeous. 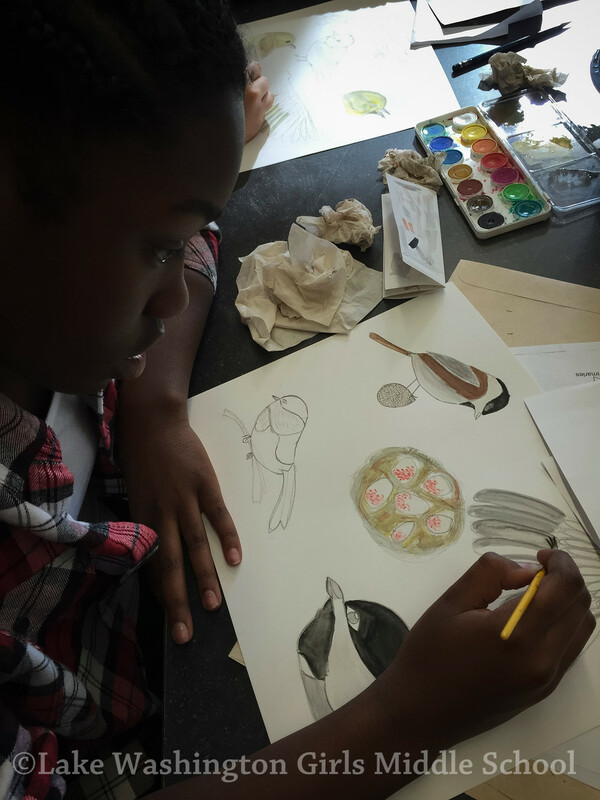 Scientific illustrations! 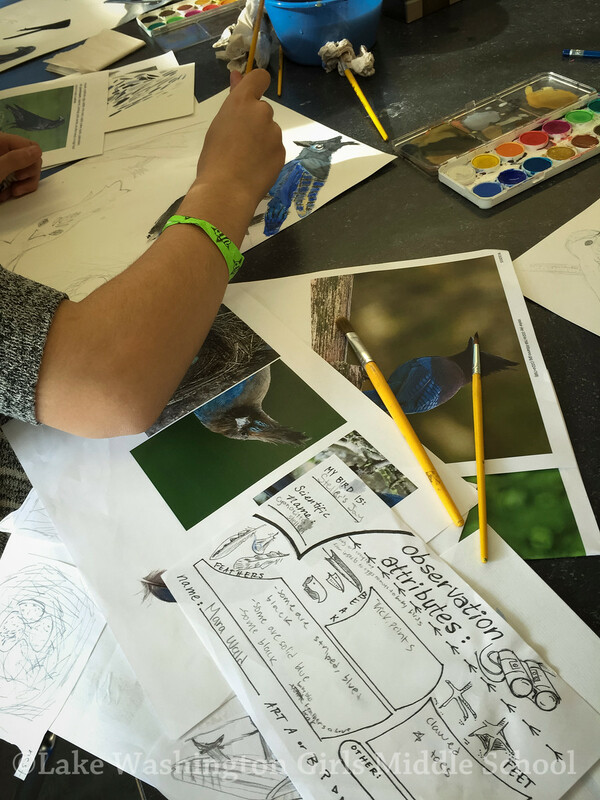 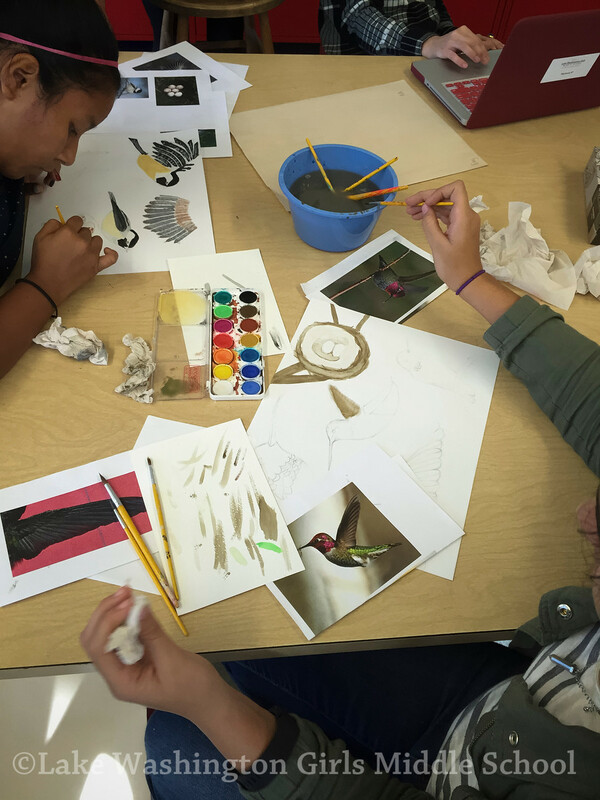 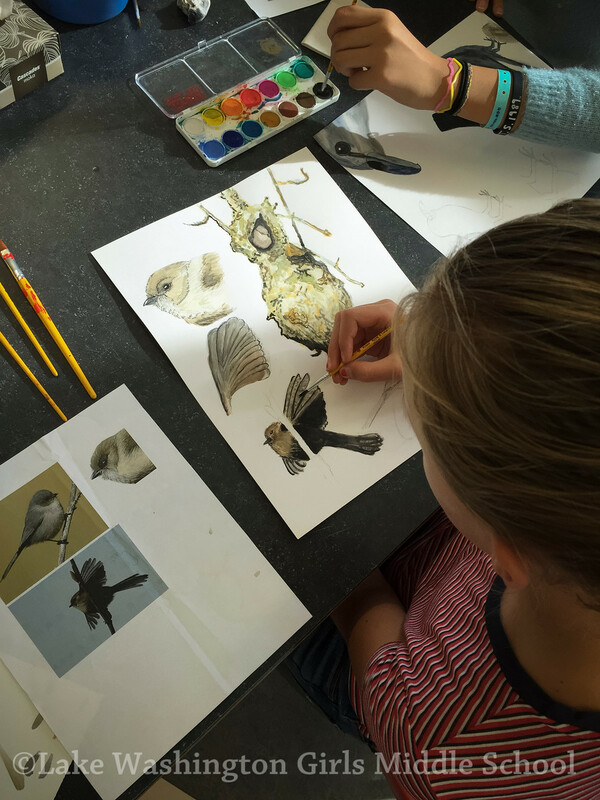 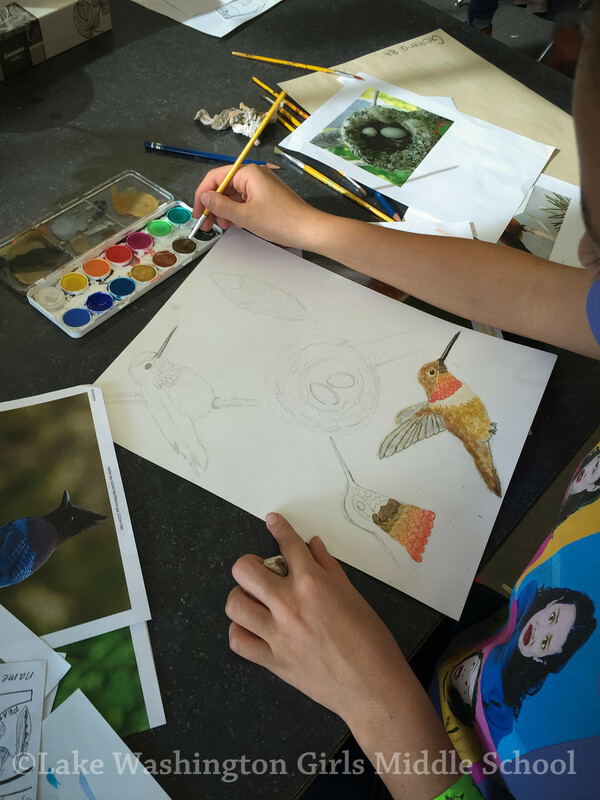 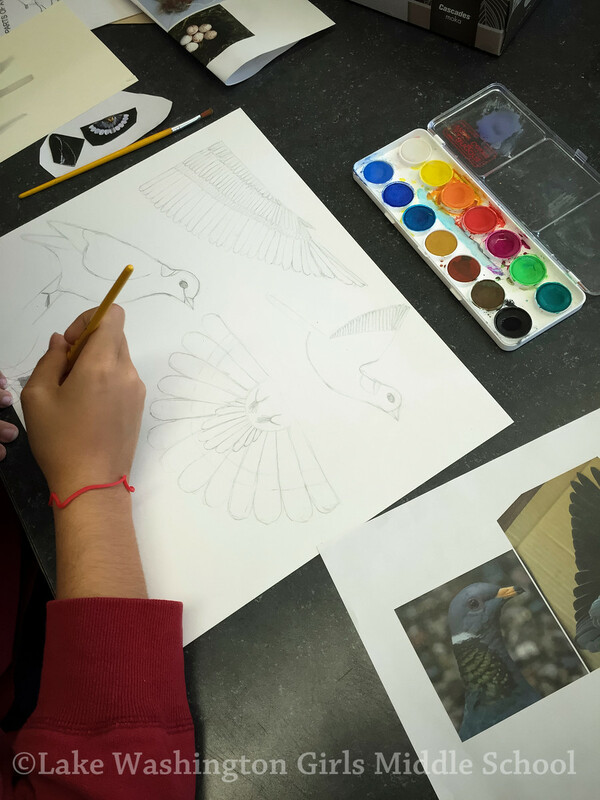 The girls are connecting to the natural world and building skills in drawing and painting detailed ornithological illustrations using a variety of media.